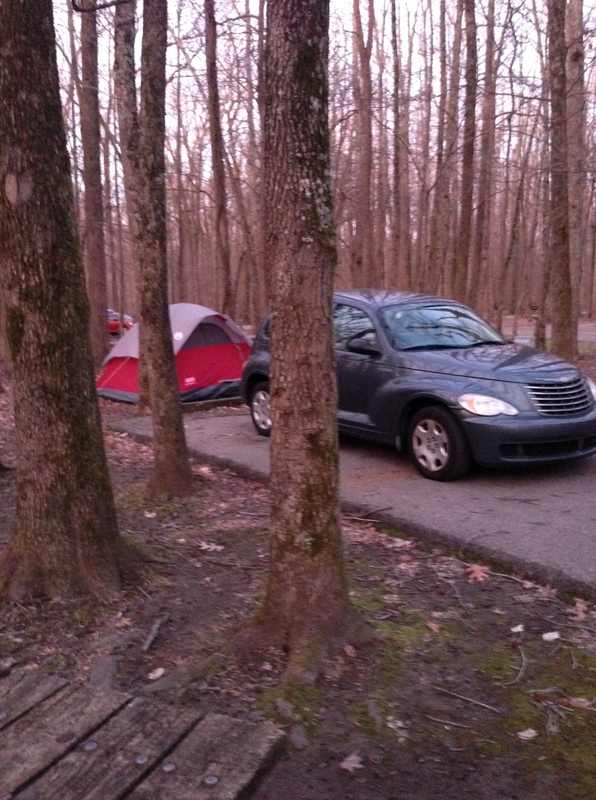 Spring camping at Meeman-Shelby Forest State Park. A new hike is available at my website. This is also a short hike–2.5 miles–but is on the opposite side of the state from the previous hike along the Appalachian Trail to Jane Bald. This hike is located in Meeman-Shelby Forest State Park, which borders on the Mississippi River. I described another hike in this park, the 3-mile Woodland Trail, in my book, Hiking Tennessee. You can read more about the hike to the Pioneer Springs Trail Shelter at my website here.